Just did the system update and now the flashlight is gone from the quick access menu. How do I get it back? Settings> Quick Setting and tick the box? Last edited by conite; 01-12-16 at 08:01 AM. I don't think BlackBerry has exposed this in the PRIV, from what I can tell by poking around. The quick settings menu does not seem to be editable but has items appear as they are used/enabled. There is no restore option on the quick settings me no or in the general settings. That's right, there are no user options for quick settings on the Priv. It's baked into the OS and unchangeable. I'm sorry, I didn't look at the subsection. I really think the PRIV should be listed with the Android side of Mobile Nations. I have only found one app that gives me access to the torch where I want it. The one here gets a lot more activity though. That's weird. Mine is still in the drop down menu. Me too it's still there. From what I understand, the items there come and go as you use them. So, if you don't use the flashlight in over a month, then it will drop off that list. 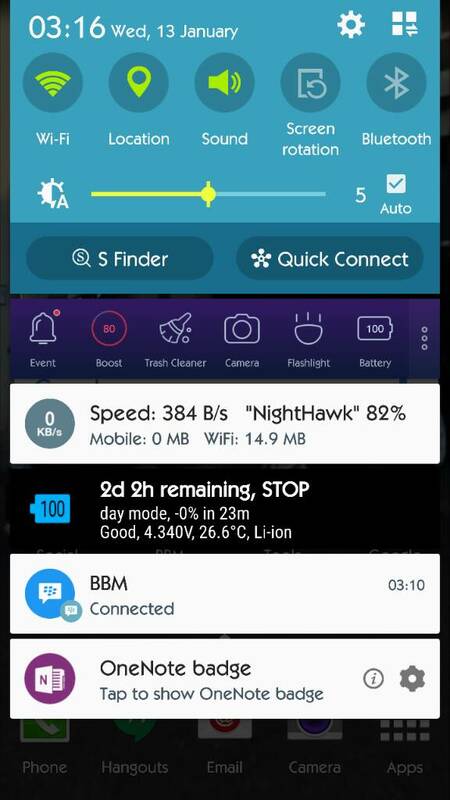 Hopefully we'll see BlackBerry roll out some sort of Quick Settings customization menu, like we had in BB10. Marshmallow has some limited ability to customise the quick settings. So it will come. Mine's still here after the update. All you have to do is 2 finger swipe down from the top of the phone to get access to the full quicksettings menu. Once Marshmallow hits the Priv you'll be able to add, delete, and rearrange all of the quick settings within the notification panel. (Swipe down from the top twice with one finger, or once with two fingers). I'm on AT&T, but I still have the Flashlight right there after all of the updates. Ask your girlfriend to layout your clothes for the next day at bedtime. It's back after rebooting. Thanks Conite! Get yourself a flashlight. I'm sure you'll find it! If you're on Marshmallow (I presume thats the update) do this. Enable Android Marshmallow’s System UI Tuner. To do so, first swipe down from the top of the screen to open the notification drawer, then swipe down again to open the Quick Settings tray (or, swipe down with two fingers). Next, press and hold the gear icon in the upper right corner for a few seconds until the gear icon starts spinning. Release your finger, and you’ll be presented with a message telling you that System UI Tuner is up and running. Then go to settings and scroll down to the bottom you'll find the system tuner. Add it back from there. "Remove system UI tuner?" popped up when I long pressed the settings "wheel"
By any chance, do have you have face unlock enabled? I turned that on for a bit when sheep where going crazy about the iPhone X's amazing new face unlock, but a side affect was that the flashlight disappeared from the tray. « Custom notifications by contact. Passport Owners who became Priv Owners: how do you feel about Priv now? Does the 9720 work with BES5? Where to download CB 10 app bell sound?